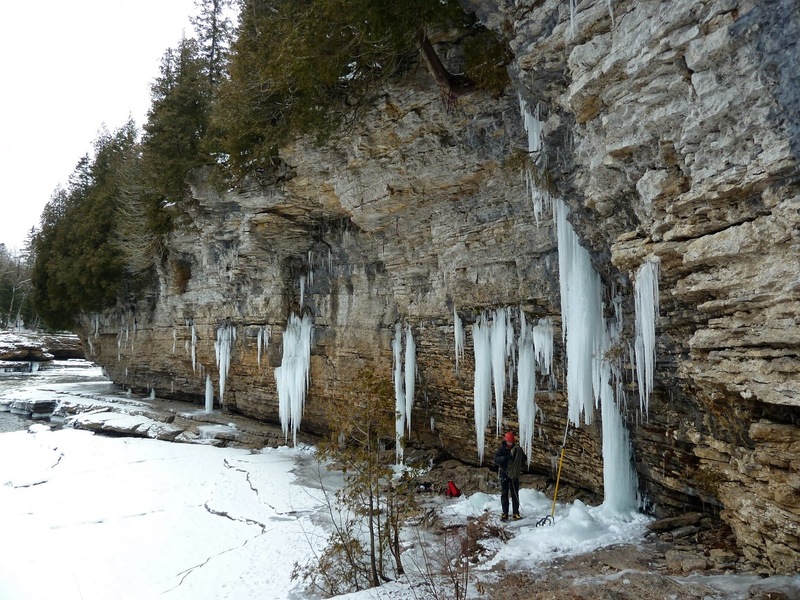 I've spoken with a few other friends recently, and many have agreed that we can't remember an ice season that began so late in a very long time. So, what do you do when you're in the throes of a paltry ice season and you need a fix? If you answered "make a ridiculously long drive for two days of climbing somewhere in the middle of nowhere in Quebec" you read my mind. This week marked my friend and regular climbing partner Chris Beauchamp's 35th birthday, and to celebrate we went climbing in Quebec. Even the Great White North is experiencing "winter lite" this season. 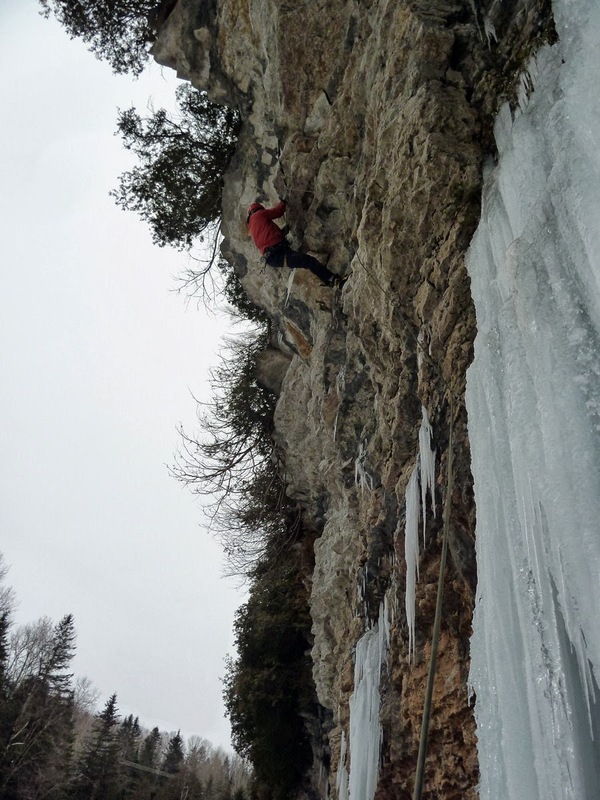 We headed to Saint-Alban though, where most of the climbing is on overhanging limestone. 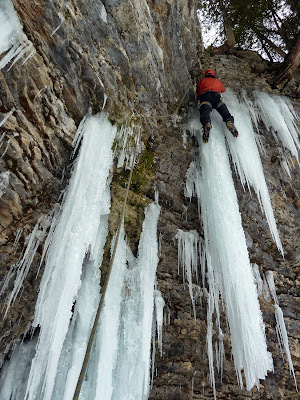 90 percent of the climbing is rock, although a handful of the routes manage to climb a few feet of ice. 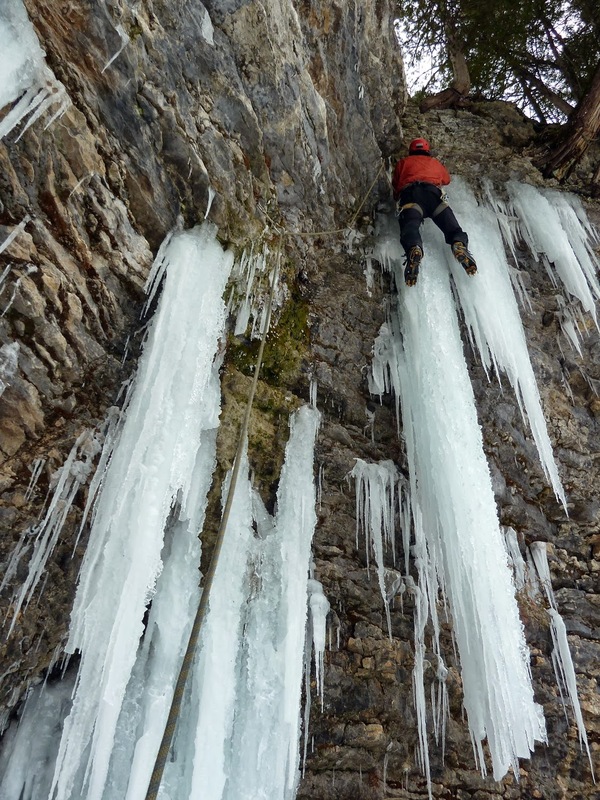 This type of mixed climbing seems contrived. Nonetheless, it's really fun to clip bolts and crank away on routes that are radically overhanging. Here are a few photos from our 48-hour northern excursion. The easiest route at the cliff. A good spot to warm up.